AOR, LTD. is a company located in Tokyo, Japan, and is a fabless manufacturer of wireless communication products. Since AOR's establishment in 1978, we have had a long record as a leading manufacturer of communications receivers for amateur and professional users. AOR is a rare example of an electronics manufacturer that has not shifted production to lower cost countries, but kept its production base 100% in Japan. All subcontractors and PCBAs are located in Japan with appropriate quality management system namely ISO-9000 or widely accredited higher quality management systems. In the 70s 80s and 90s AOR successfully developed many , 80s, "Industry's First" products as seen in the IMAGE GALLERY in this web-site. 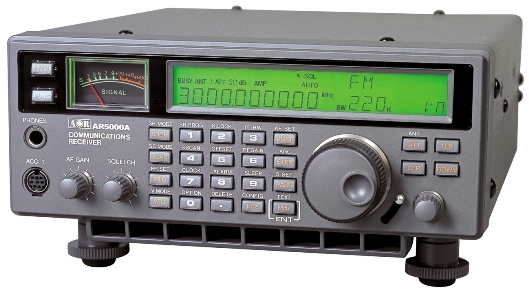 World's first fully synthesized 2m (144MHz) HAM radio hand-held transceiver. World's first fully synthesized palm-size VHF monitor receiver. World's first fully synthesized Int'l marina band handheld transceiver. World's first fully synthesized Air-band handheld transceiver. World's first fully synthesized continuous coverage scanner receiver. World's first super-wide band continuous coverage communications receiver.